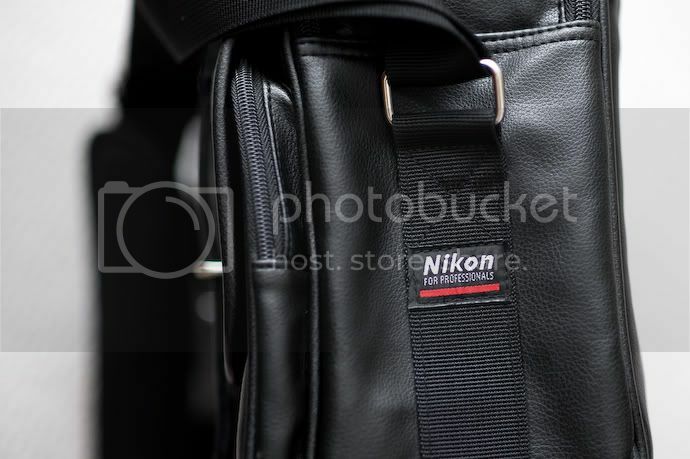 Up for sale is a nikon brand sling bag. It is an unwanted gift. Used only once. 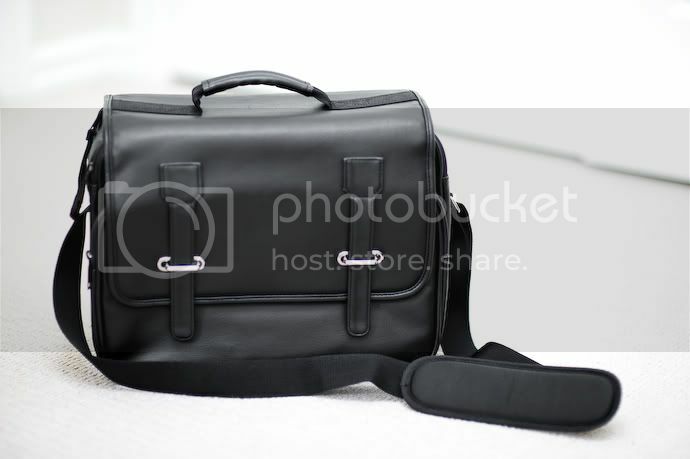 It has an adjustable strap and shoulder padding. It has a zip-up pocket in front and and slim pocket at the back. 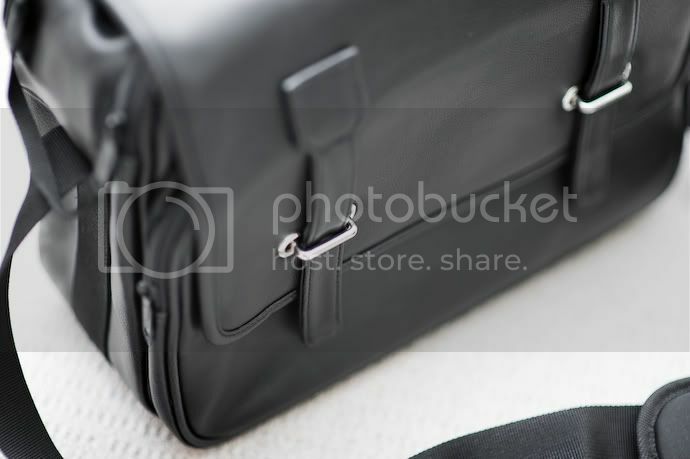 Outside is genuine black leather, inside has thick padding. Measures about 35cm wide , 26cm tall, and 12cm deep. 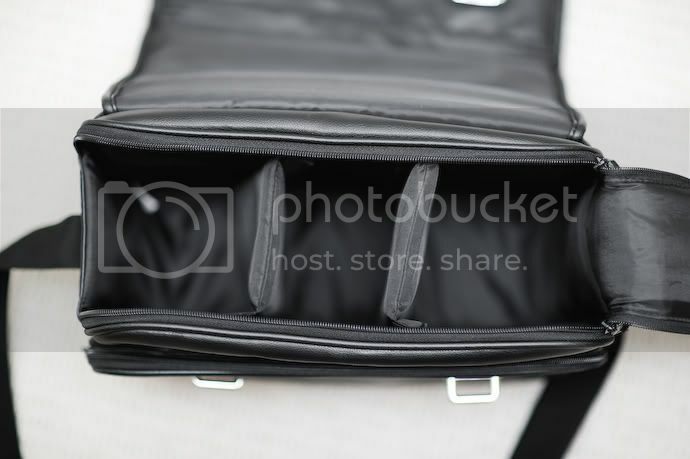 Inside are 2 removable dividers, which allows 3 long objects to fit inside. 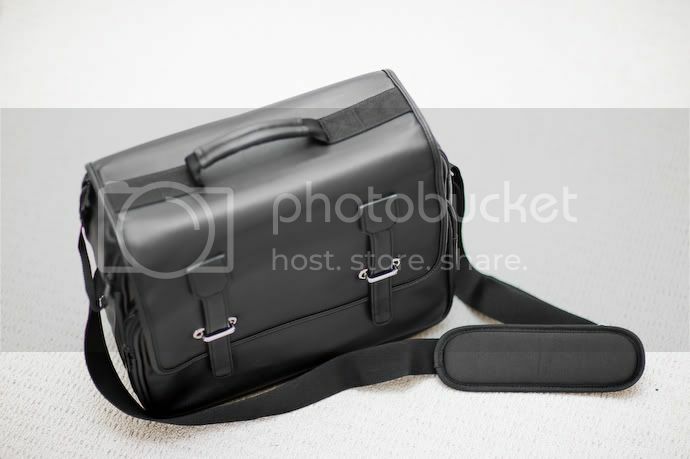 With some modification, I'm able to fit a D700 + grip, 24-70mm, 85mm, and SB-900 flash in the bag. Mother cannot recognise her own son.